Cold Dude Computers: New Fall-Fair Log in Screen! New Fall-Fair Log in Screen! 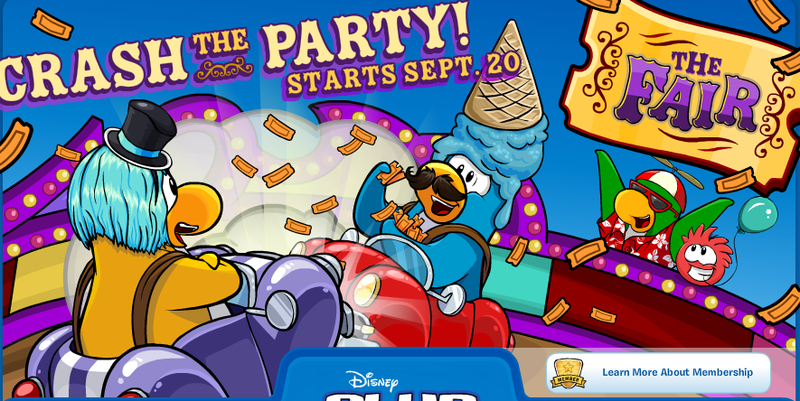 Recently Club Penguin released a new log in screen for the Fall-Fair. It has an item which is similar to on of the items that they released last year, but this time it's blue. 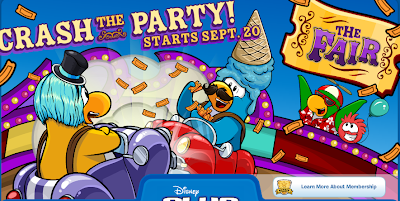 As I said you can see the blue wig on that penguin's head! Do you think that there will be any more similar items that are from last year, and have just been changed a little bit. Leave a comment and let us know!